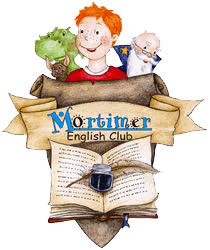 >>Silver is followed by gold – Mortimer English Club wins the F&C Gold Award! Silver is followed by gold – Mortimer English Club wins the F&C Gold Award! We are the specialists for learning English with fun – enjoy learning! In over 300 Mortimer English Clubs our tutors teach the English language to thousands of students. Our children learn English through games and with all senses – just as easily as their mother tongue. We also created a totally new learning method for adults – no matter if you are 20 or 100 years old. We lead you to success and guarantee you a lot of fun! The concept of Mortimer offers you different business models. With Mortimer you can work self-employed as a tutor, start your own Mortimer English Club or – as a master partner – build up your own headquarters and network of Mortimer outlets in your own country.